■ Look for products with an SPF of 15 to 50, and that are labeled “broad spectrum protection,” meaning they protect against both UVA and UVB rays. Higher SPF values are misleading. “It’s like the gas mileage sticker on a car. It’s based on test conditions that you’ll never achieve in the real world,” said Ms. Lunder. ■ Keep babies younger than 6 months out of the sun, as their skin is especially sensitive. 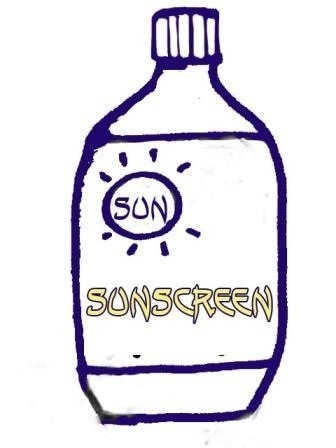 Sunscreen should not be used on infants. If they are outdoors, keep them completely covered and in the shade. ■ Try to keep older children inside when the sun is harshest, from 10 a.m. to 2 p.m. A bad sunburn in childhood or adolescence doubles the risk of melanoma later in life, according to the Skin Cancer Foundation. ■ Avoid sunscreen sprays. The F.D.A. has banned sunscreen powders (though some products may still be available) and has asked for more data on sprays. The concern is twofold: that not enough sunscreen makes it onto the skin, and that the spray may be inhaled into the lungs. ■ Avoid products with vitamin A, retinol or its derivatives, such as retinyl palmitate and retinyl acetate. At the moment, the F.D.A. says there isn’t enough evidence to suggest these are harmful, but the Canadian health authorities appear to be concerned that the additives increase sun sensitivity. They have proposed requiring that sunscreens with retinyl palmitate carry a warning saying they can increase the possibility of a sunburn for up to a week. ■ Look for fragrance-free products. Scents bring more unnecessary chemicals and potential allergens to the mix. ■ Take endorsements and seals of approval with a grain of salt. The Skin Cancer Foundation gives a “seal of recommendation” to sunscreens, but only if their manufacturer has donated $10,000 to become a member of the organization.